Adventures of a Wife and Mom: Love surprises! Went to my post office today to mail a package to my secret swappee in the fingerless gloves winter swap and fund the package from MY swap partner! What a marvelous surprise! 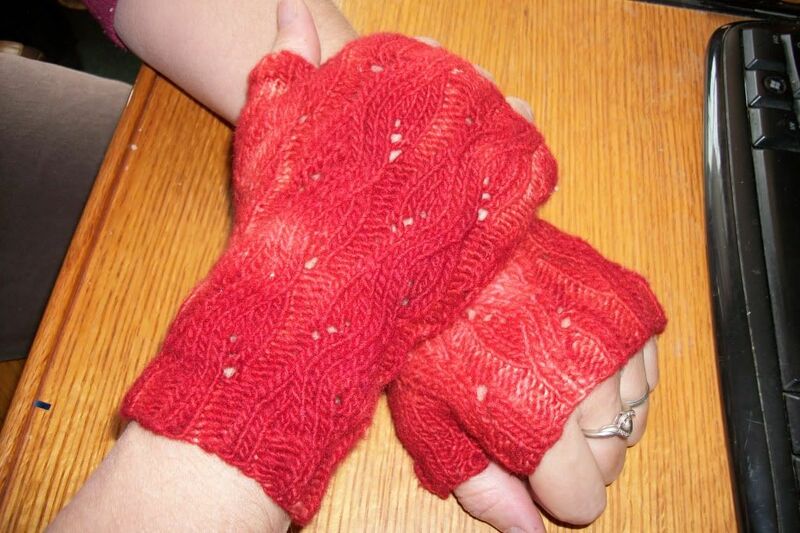 Lovely gloves! They are a delicious wool. original color was melon.and she overdyed it with Kool aid! And all kinds of fun goodies...a bag of caramel Chex mix, a delicious chocolate bar, some fun Halloween gum balls, a project bag to hold my recent knitting. 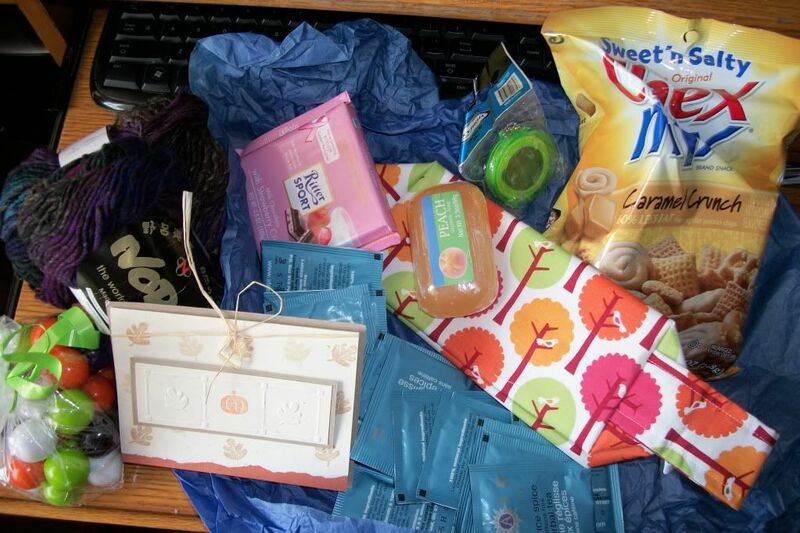 a bag of my favorite tea, a sweet smelling peach bath soap, a tape measure and yum! MORE yarn! It's called Noro Kureyon, I've always wanted to try it and I already know what I'll be making with it. I love exchanges. It's always so much fun to trade talent and gifties.